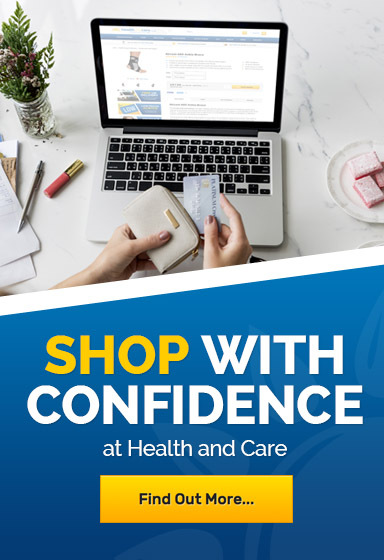 Welcome to Health and Care's Excess Sweating page. Here you will find solutions to stop sweating. 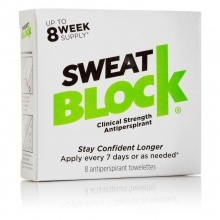 Sweat Block is an extra-strength antiperspirant that lasts for one week at a time with one easy application. We also have Perspi Guard, which lasts for 5 days with one simple application. With both of these super products, a simple application to the armpits at night after a shower provides sweat protection for 5 to 7 days. There is no need to reapply the product at all! No more roll ons, no more sprays. Just dab or spray your armpits once a week and you are set up for a sweat-free week.